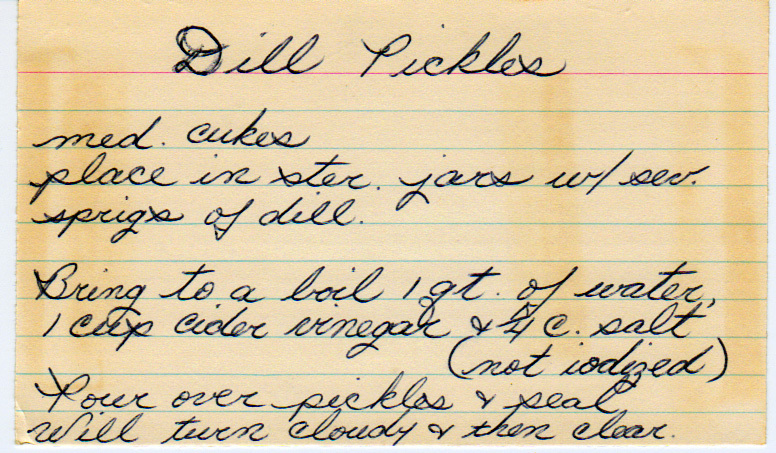 Any day is a good day for a pickle. Place in sterilized jars w/ several springs of dill. Bring to a boil 1 qt. of water, 1 cup cider vinegar and 1/4 c. salt (not iodized). Pour over pickles and seal. Will turn cloudy and then clear. Yesterdish reminder: Modern canning methods only, unless you want coal in your stocking. And the stocking is your body. And the coal is botulism and it’s not coal.